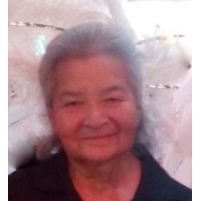 Mary M. Enriquez, a Tracy resident of 29 years, passed away on Tuesday, June 5, 2018 at the age of 66 years. She was born on October 24, 1951 in Kerrville, Texas to Daniel Enriquez and Sofia Macias. Mary moved from Texas in 1957 with her family to San Jose, CA, where she resided for 32 years. She was the first of nine children to attend San Jose State. She worked in electronics for over 30 years and retired from 3Com Corp as a document control analyst. Mary was an avid San Francisco Giants and San Francisco 49er Fan, often attending games with her family. Mary had a wonderful zest for life, family and her heritage. She will be deeply missed. Mary is survived by her daughter Julie Patricia Enriquez and Luis Lopez, and her five Grandchildren: Luis Enriquez, Lea Lopez, Emiliano Lopez, Elizabeth Lopez and Lauren Lopez, all of Tracy, CA. She is also survived by her siblings Larry Enriquez of Ceres, CA, Connie Payan of Ceres, CA, Arturo Enriquez of Modesto, CA, Sylvia Histo Herrera of Turlock, CA and Jancinto Rodriguez of Porterville, CA. Mary is preceded in death by her parents Daniel Enriquez and Sofia Macias, her brothers Daniel Enriquez and Julian Enriquez and her sister Elsie Telly. A visitation will be held at Fry Memorial Chapel, 550 S. Central Ave., on Thursday, June 14, 2018 from 2:00 p.m. to 6:00 p.m. with a Rosary beginning at 6:00 p.m. A Memorial Service will be held at Fry Memorial on Friday, June 15, 2018 at 11:00 a.m. Graveside services and Burial will follow at Tracy Public Cemetery, 501 E. Schulte Rd. at 1:00 p.m. For condolences and special messages to the family, visit www.frymemorialchapel.com.